The aforementioned baby quilt is quilted, labeled and washed. Now to pack it up with the bibs and ship it off. That's the part where I usually drag my feet. The quilt is 56" square. I used bamboo batting that I bought at Joanns. It's 50% organic cotton and 50 bamboo (which the package says is "naturally antibacterial", who knew?). This stuff is so silky soft, I wish it could be on the outside of the quilt. Also, the maximum quilting distance is 8" which I think is pretty cool compared to 100% cotton which is, what, 3 or 4 inches? Really, the reason I bought this was because the crib size is 60" square, not 60" by 45" like other cotton batting and I knew I would be making a square quilt. But I was also curious about this new product. It's made by the Poly-fil people, so I don't know how ecologically sound the rest of their business practices are but this stuff seems pretty great. You can read more about it at their website. Anyway, the quilt is made up of 81 4 inch multi colored squares separated by 2 inch strips of a neutral khaki solid. I love me some neutral background! I also love the pillowcase binding aka birthing method. It's kind of a non-binding. I liked the simple border of the neutral fabric and I thought that was frame enough for this quilt. I quilted around each square and a quarter inch from the edge. And lo and behold, I actually made a label. You may recall that I have been a bit grumbly about labels in the past. Of course, I understand the merits of a good label and I thought this quilt was especially deserving of one. I made the graphic in Photoshop, using brushes I downloaded here and here, found via Dooce. I printed it out on an inkjet fabric sheet and voi-la. Preserved for all time. Wow! This is gorgeous! I love all those joyous colors. What a beautiful quilt. So cool to learn about those new products too. I think I need to try out that cotton/bamboo batting - sounds pretty neat. BEAUTIFUL!!! I just love how all the colors pop out. I love the label too -it's gorgeous! so lovely! I've got some charm squares and fabric scraps that are ready to be used in a quilt like this. 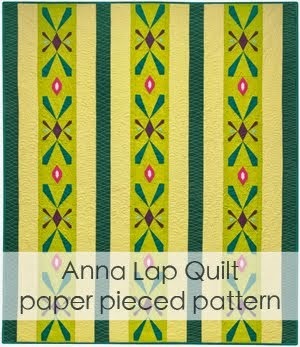 and I will definitely be trying out that bamboo/cotton batting with an upcoming quilt! I enjoy your blog and love the baby quilt. Glad to hear someone talk about Bamboo batting because I just bought some and was unsure about where to use it. So nice to meet other quilters. I need to learn how to use my computer better, I love your label! 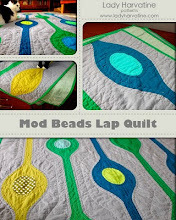 I love this idea for a quilt. My favorite thing about this quilt is the square with the bird. It makes such a nice statement, and I like that there is only one. May I ask how you applied the label? Did you hand stitch it on after you quilted? Oh wait, I think I might see two other birds peeking out. Love it! i just found this post looking for info on bamboo batts. the quilt is really beautiful, so simple but so effective, i bet the recipient was thrilled :) the label is super cute too. 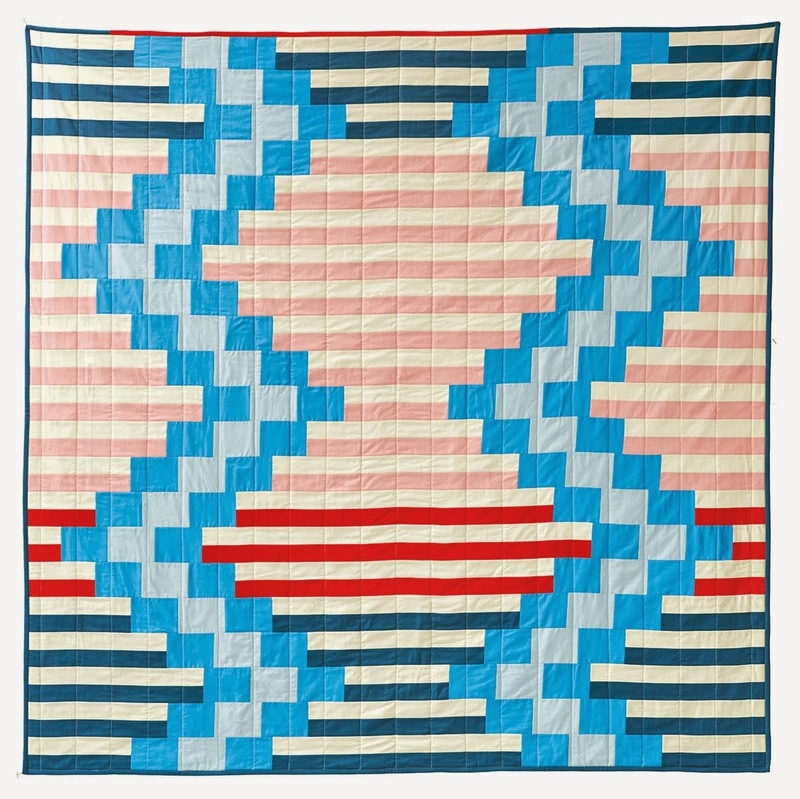 I think I googled something like "neutral baby quilt" and found this site. 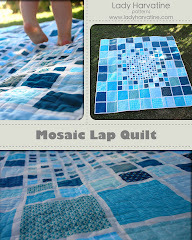 I fell in love with this quilt and made one very similar for my friend who is expecting. Thank you for your awesomeness. I love all the stuff on your blog.